eCommerce is one of the hot topics when it comes to digitalization and disruptive changes to traditional industries. Statista's Digital Market Outlook provides the most comprehensive data set in terms of market sizes, revenue development and relevant companies. Futhermore, we look into the future of the industry providing the latest trends and tangible revenue forecasts. 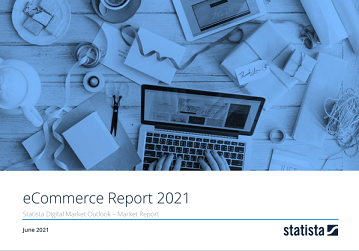 In this report, the eCommerce market is divided into five major segments, covering different product categories: Fashion, Electronics & Media, Furniture & Appliances, Food & Personal Care and Toys, Hobby & DIY. eCommerce is one of the hot topics when it comes to digitalization and disruptive changes to traditional industries. The globally rising number of internet as well as smartphone users also impacts the adoption of eCommerce and drives growth. The report covers the B2C sale of physical goods via the internet and excludes all kind of digital services, like Online Dating or Online Food Delivery as well as digital media, e.g. Music or Video Downloads.